Katharine Hepburn’s Brownies | Time to Cook! When I came across Katharine Hepburn’s family recipe for brownies in Gourmet Magazine, my curiosity was piqued. Katharine Hepburn — wouldn’t you think she would hold something to the highest standards and be associated with something very classic, old-fashioned, and American as a delicious homemade brownie? 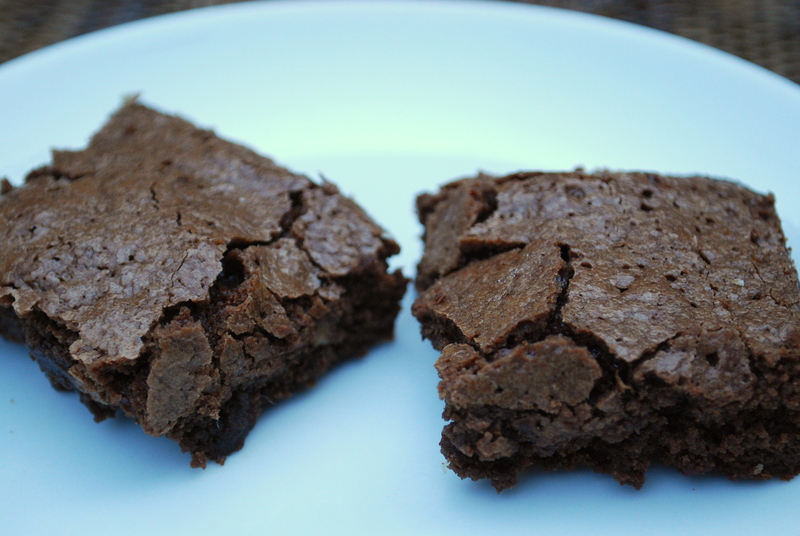 I did… Indeed, this is the best brownie recipe I’ve tried. You can really taste the butter, salt, chocolate and nuts in each bite and they are nice and moist in the middle yet crispy on the top. Delicious! The recipe only makes 9 brownies, and that’s just not going to be enough (trust me), so you might want to double the recipe. Note: I thought 1/2 cup chopped walnuts was plenty.